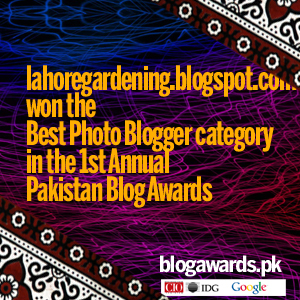 Humming birds are not common in lahore, pakistan while sunbirds are common here. 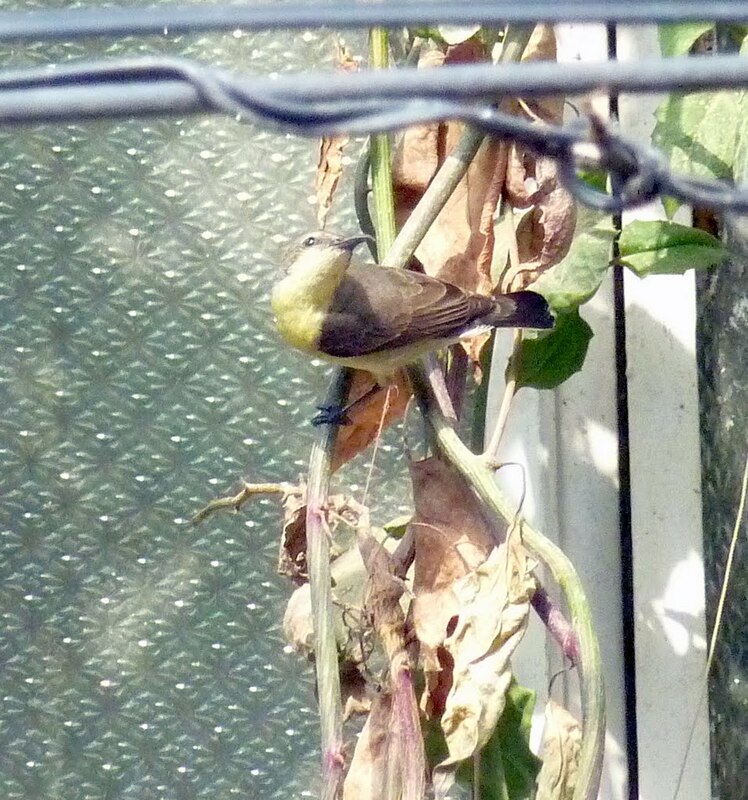 I did see a humming bird moth in Lawrence gardens but we will have to be content with sunbirds for now on. 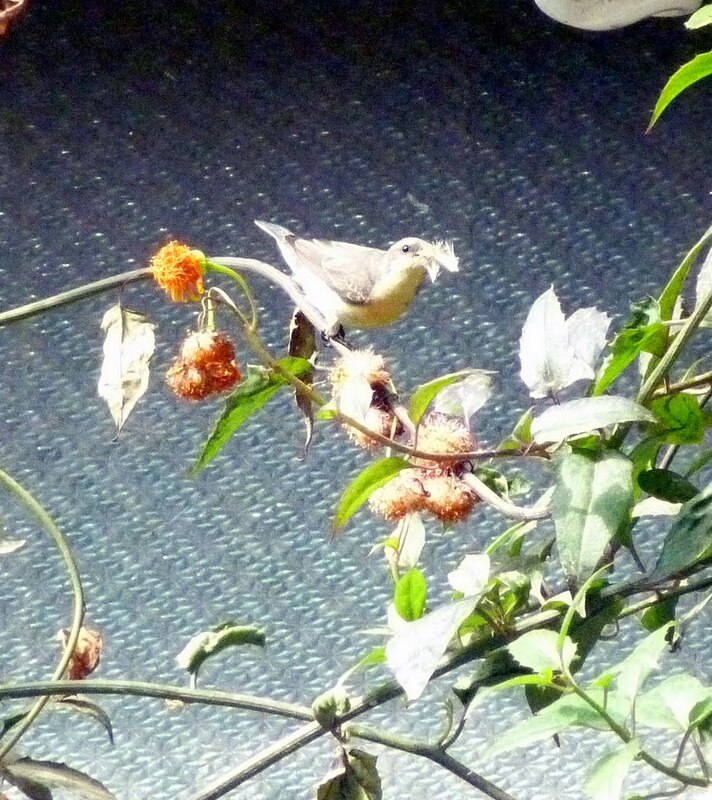 I was happy to see a sunbird on my terrace garden. 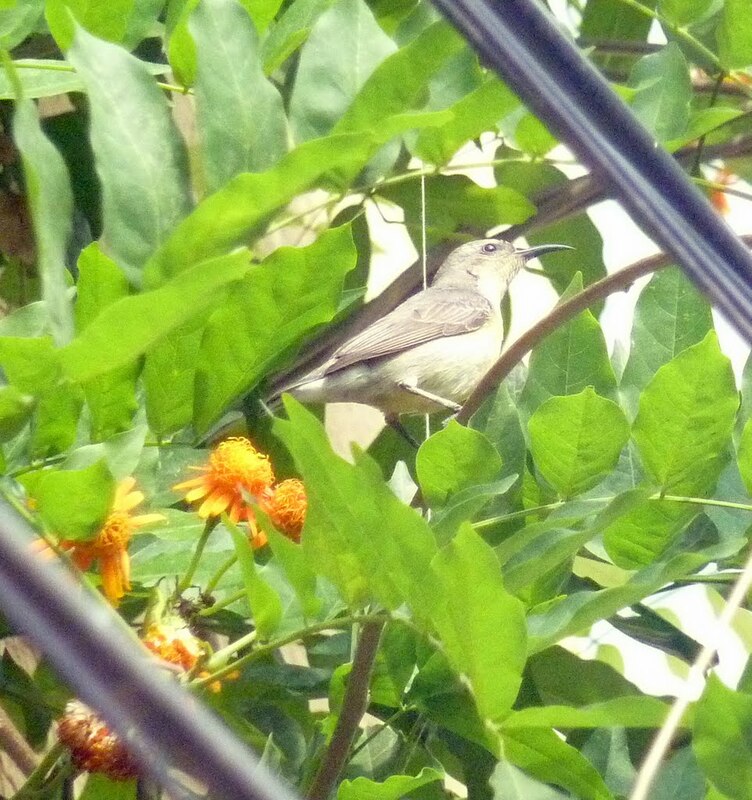 This sunbird is a regular visitor in my terrace garden. Mostly after seedspods. In the below pictures it is after spent flowers of senecio vine. These spent flowers will be used probably for his nest although they are source of food maybe. Attracting sunbirds is very exciting and there is another blue one very pretty on my terrace often but very fast to be caught on camera. Will post soon as i defeat his pace. I’m missing my sunbirds. They used to come around everyday when my coral tree was in bloom. Sometimes I am tempted to hang red-colored feeders around hoping to attract them. They are precious…I can imagine they bring a lot of joy as you watch them gathering food and nesting materials. Good luck catching a glimpse of the blue one with your camera. I know how that goes…the hummers are hard for me to capture! Hummingbird is quite rare in Lahore but I get frequent visits of these tiny birds on my Haworthias. They are delight to watch!Beautiful photographs.Its really tricky taking closeup of this restless bird. ooh, he’s got some good materials!